Doctors attribute one-third of infertility cases to male factors, meaning issues with the sperm; one-third to female factors, and one-third to a combination of factors in both the male and female partner. Any problem along the way can cause infertility. Infertility is typically defined as the inability to get pregnant after trying for one year. If you can’t sustain a pregnancy, you are also considered to have infertility. According to current statistics from the Centers for Disease Control, this condition affects 6.7 percent of women from the age of 15-44 in the United States. Ovulation problems account for approximately one-third of all female infertility problems. When you don’t ovulate properly, eggs are not available to be fertilized. If your menstrual periods are irregular or not present, it is an indication that there is a problem with ovulation. Two common ovulation problems are: polycystic ovarian syndrome (PCOS) and age. PCOS: In the case of PCOS, your ovaries overproduce "male" hormones (androgens), causing irregular ovulation, or even a lack of ovulation. Age: Fertility declines as a woman ages due to the normal age-related decrease in the number of eggs that remain in her ovaries, as well as a decrease in the quality of her eggs. Generally, fertility begins to drop in your late 20s or early 30s, and falls more rapidly after the age of 35. Today, as more women wait until they become older to start their families, ovarian problems related to age are on the rise. To determine if you have female infertility, your doctor will perform a fertility evaluation, which will include an assessment of your ovaries, ovarian reserve, fallopian tubes and uterus. 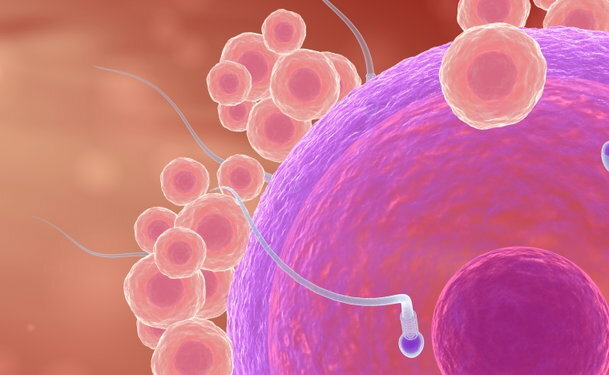 Sometimes these tests do not point to a specific cause of infertility. Approximately 10 percent of female fertility issues are unexplained. Just because the cause of infertility is unknown does not mean it cannot be treated. There are various treatments available for women with unexplained infertility, including in vitro fertilization (IVF), intrauterine insemination (IUI), timed conception and lifestyle changes, to name a few. Male infertility is due to low sperm production, sperm that aren’t shaped or are not moving properly, or blockages that prevent the delivery of sperm. Illnesses, injuries and chronic health problems can affect male infertility. One specific cause of male infertility is the presence of a varicocele, which is, in essence, a varicose vein on the testicle. These are present in 15 percent of the general male population and 40 percent of infertile men. Varicoceles may cause reduced sperm count and abnormal sperm morphology, which cause infertility. Varicoceles can usually be diagnosed by a physical examination of the scrotum. If, after a year of tying to become pregnant you haven’t conceived, you should consider an infertility evaluation. For women who are 35 or older, the time frame drops to six months. Seek care sooner than six months to a year if you have a reason to suspect an underlying problem—for instance, if you have very irregular menstrual cycles, or if you or your partner has a known fertility problem.